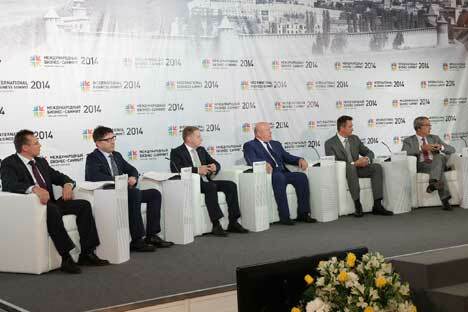 The Russian region signed cooperation agreements with several foreign companies during the International Business Summit. $1.8 billion worth of agreements were signed at the Third International Business Summit, which was held in the city of Nizhny Novgorod this month. Focusing on the theme of ‘Investment for the Future,’ the summit attracted companies from Luxembourg, UAE, Cuba and the Czech Republic, with many investors expressing interest to invest in the Nizhny Novgorod region. With each passing year, the region is more actively increasing its cooperation with foreign enterprises. At this year’s summit there were more than 8,000 participants from 55 Russian regions and 50 foreign countries, including Japan, Iran, Qatar, Cuba, Mexico, Belgium, Great Britain, France, Germany, Italy, and Spain. Valery Shantsev, Acting Governor of the Nizhny Novgorod region said the summit held great practical value and the region is keen to attract more foreign investors. “I hope that everyone who came this year will come again next year and that the path from idea to realization will be shorter for us,” he said. “The Nizhny Novgorod region may well become a good place for the development of the non-oil sector since industry, power engineering, and shipbuilding are all found here,” Oleg Goshansky, the Chairman of the Board of KPMG Russia & CIS, said. The total sum of investments based on the agreements signed at the summit is about $1,8 billion, which is about half of the region’s current budget. So, the implementation of all these projects will give the region a solid tax base and, of course, new jobs. Luxembourg’s E-Luxe Net S.A. signed a major agreement under which agricultural land will be used for the cultivation of grain and forage crops, for growing rapeseed and for the creation of primary processing and storage points for agricultural products. Other provisions in the agreement include the processing of wood pulp, and the production of fertilizers and biomass from wood waste. The Luxembourg company will also build a training centre for the management and technical personnel of the agricultural enterprise. The Nizhny Novgorod region also intends to develop cooperation in the field of mechanical engineering with the Czech Republic and Cuba. “I have been to the Nizhny Novgorod more than 20 times and I already feel myself at home here,” said Czech Republic Ambassador Vladimir Remek. “The region is recognized throughout the world as a centre for mechanical engineering, but we also want to develop cooperation in other industries, for example, in construction.” The new passenger terminal at the Strigino Airport in Nizhny Novgorod was built by the Russian branch of the Czech company PSJ. Cuban companies are actively cooperating with the Gorky Automobile Factory, and have agreed to create a centre in Cuba for the sale and servicing of Russian automobiles. The Ambassador of Cuba to Russia Emilio R. Lozada García also proposed to Valery Shanstev, that a direct flight be operated between Nizhny Novgorod and Havana. Roman Gavrilin, a member of the board of directors of the Russian Business Council in the UAE, said Arab investors were quite cautious. “Very often, companies from Russia arrive without specifically defined projects and with such phrases as 'we have everything going well and profitably' and 'invest in our region and there will be golden mountains there for you.' Rarely do they come with clearly defined proposals.” Gavrilin added that the goal of the summit was to show a positive example of cooperation, to demonstrate that everything is possible and that everything works. It is noteworthy that a time when relations between Russia and the European Union are tense, a huge number of representatives from EU states came to the business summit. “This is an indicator of the interest which potential investors have in our country and that will give new impetus to the development of the domestic economy,” Evgeny Lebedev, Head of the Legislative Assembly of the Nizhny Novgorod region.